Testimonial: Trey’s Nissan Skyline GTR in South Carolina. Trey talks about his Nissan Skyline GTR at his hometown in South Carolina. Trey is a true car enthusiast, and even has a C6 Corvette Z06 in his current collection! Trey fell in love with the R32 GT-R while spending time in Okinawa, and after the 25-year rule was up for the R32, said he absolutely needed one for himself! As a man who appreciates integrity and honesty, Trey carefully scoped out the importers to acquire his dream car, looking for the right company to help him out. 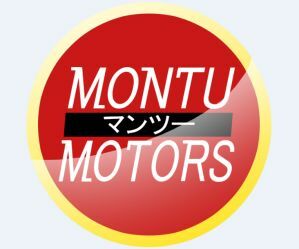 He found us at Montu Motors during an online search, and complimented our staff and services for answering all of his questions and making the process as easy as possible, even commenting that it was easier than going to a dealership! Trey said he had no issues getting his GT-R registered and insured in South Carolina, and had everything squared away in no time. Trey said he picked this particular GT-R out because it was already equipped with extensive upgrades. After a dyno test it was putting down 700whp, and running in the 10’s in the quarter mile! Talk about a beast! In fact, Trey said the car is so fast off the line that he’s scared of the sheer power! If you’ve ever been in something that fast, it’s easy to understand why, with the AWD system putting that massive power to the pavement in the most efficient way. After years of waiting since first seeing the R32 GT-R in it’s original home in Japan, Trey can now experience the awesome feeling of driving one everyday back in the States!